University of Paris VI, M.S. Applied Mathematics, Models in Neuroscience, Dynamical Systems, Probability and Stochastic Processes. Passionate about biology and applied mathematics, my research focuses on mathematical approaches for biology, chiefly using tools from dynamical systems and stochastic theory. These two mathematical tools allow describing properties of systems evolving in time, possibly partly randomly. I have used these tools to describe the role of disorder, fluctuations and unpredictability in neural computations, with a particular interest in understanding the interplay of structure and function in the brain, from models of single cells activity up to macroscopic limits of large stochastic neuronal areas. I have also worked on the functional organization of the visual cortex in search for their organizing principles, but also on the mechanisms leading, during embryonic development, to the emergence of appropriate brain phenotypes. My approach often involves data analysis, simplified mathematical models, computer simulations and theoretical and mathematical analysis, using dynamical systems and probability. And in this program, I enthusiastically collaborate with experimentalists, mathematicians and physicists! Gaetan Vignoud, Laurent Venance, Jonathan Touboul. "Interplay of multiple pathways and activity-dependent rules in STDP." Plos Computational Biology 14. 8 (2018): e1006184. Jonathan Rubin, Justyna Signerska-Rynkowska, Jonathan D. Touboul and Alexandre Vidal,. "Wild oscillations in a nonlinear neuron model with resets: (Ⅰ) Bursting, spike-adding and chaos." DCDS-B 22. 10 (2018): 3967-4002. Jonathan Rubin, Justyna Signerska-Rynkowska, Jonathan D. Touboul and Alexandre Vidal,. "Wild oscillations in a nonlinear neuron model with resets: (Ⅱ) Mixed-mode oscillations." DCDS-B 20. 10 (2018): 4003-4039. Touboul, Jonathan and Ann Carla Staver and Simon Asher Levin. "On the complex dynamics of savanna landscapes." Proceedings of the National Academy of Sciences USA 115. 7 (2018): E1336-E1345. Touboul, Jonathan and Cabana, Tanguy. 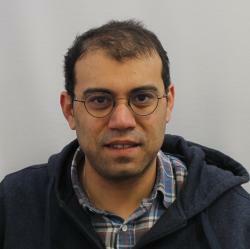 "Large deviations for randomly connected neural networks: I. Spatially extended systems." Advances in Applied Probability 50. 3 (2018): 944-982. Touboul, Jonathan and Cabana, Tanguy. "Large deviations for randomly connected neural networks: II. State-Dependent interactions." Advances in Applied Probability 50. 3 (2018): 983-1004.